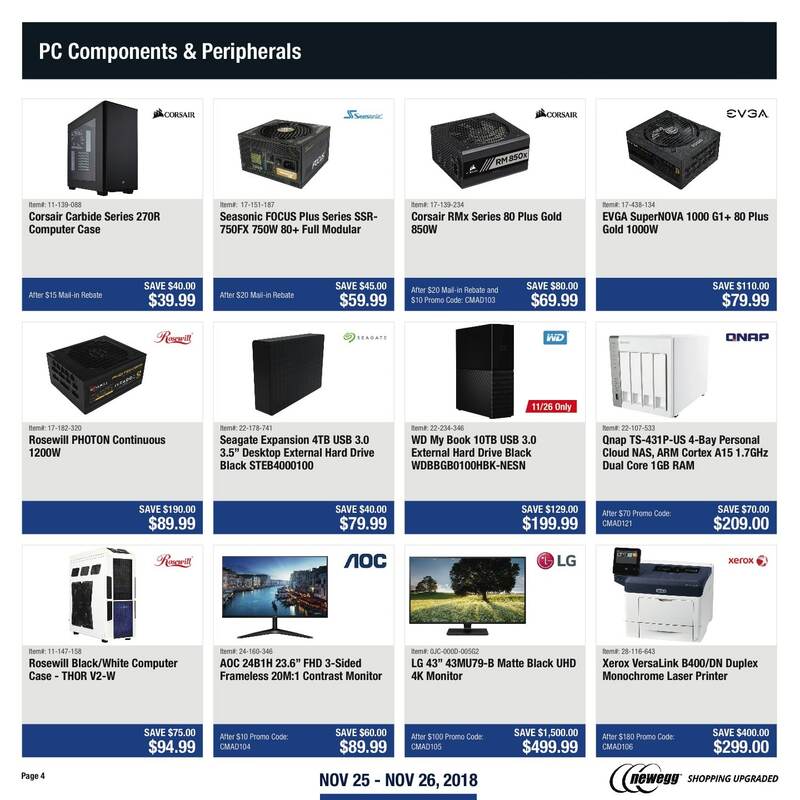 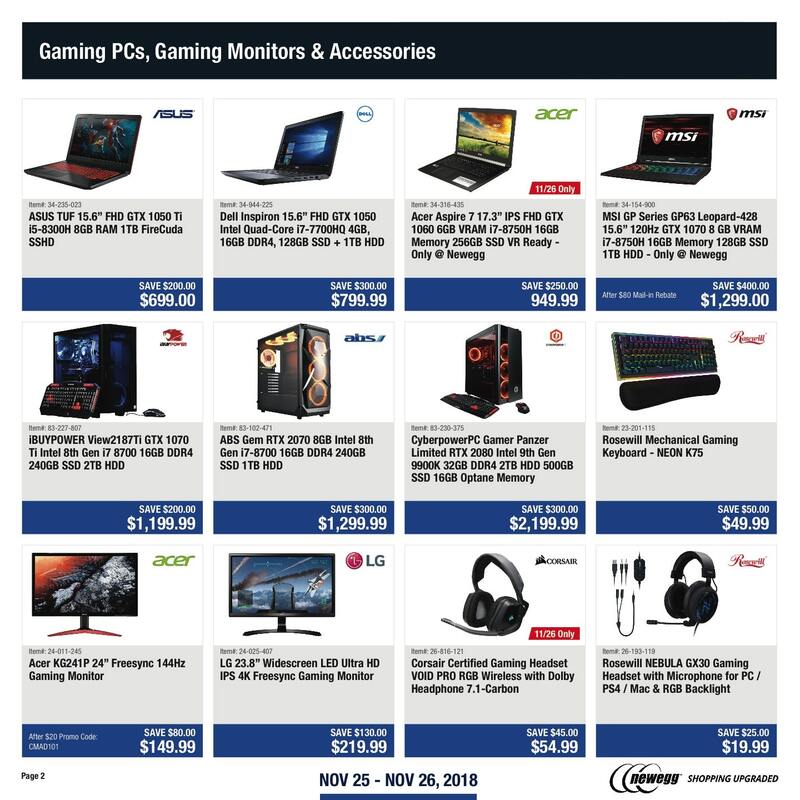 Check out Newegg Cyber Monday 2018 Sale, with deals available Sunday, November 25 through Monday, November 26. 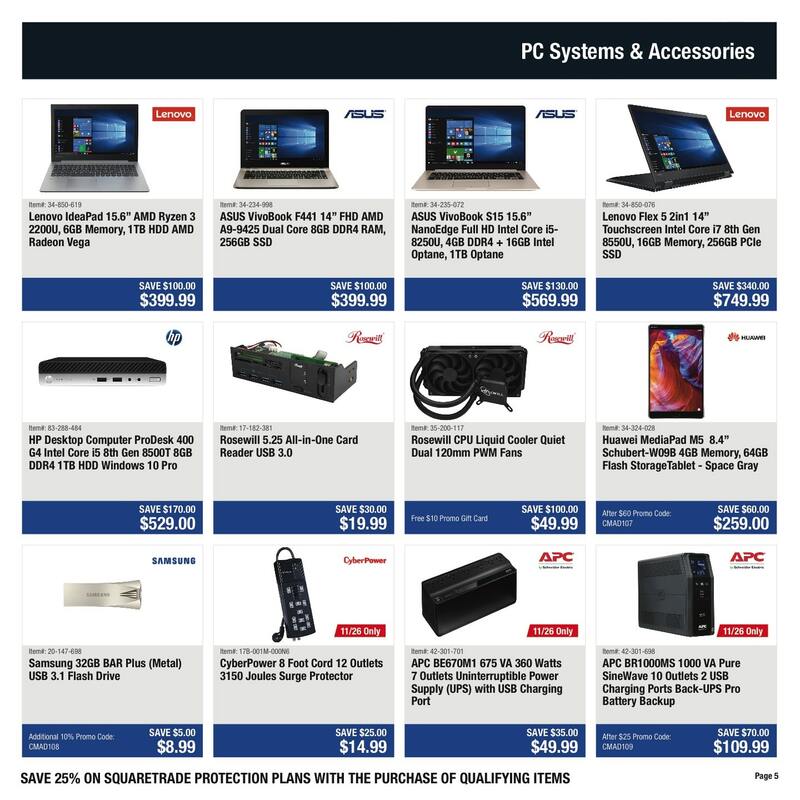 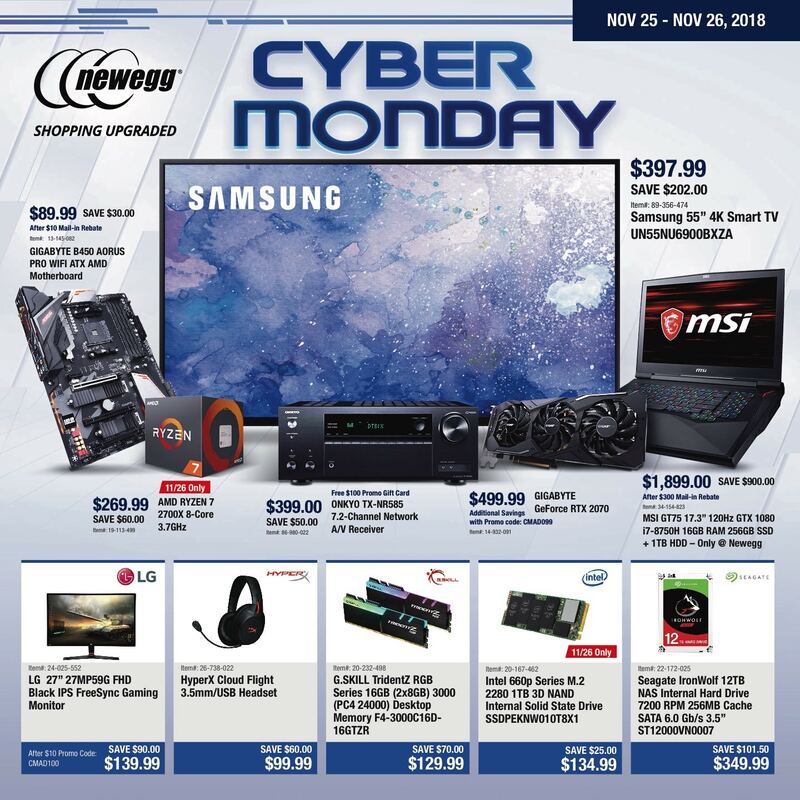 Save with this year Newegg Cyber Monday deals on: Samsung 55-inch 4K Smart TV, Gigabyte B450 AORUS Pro WiFi ATX AMD Motherboard, LG 27-inch 27MP59G FHD Black IPS FreeSync Gaming Monitor, HyperX Cloud Flight 3.5mm/USB Headset, G.Skill TridentZ RGB Series 16GB (2x8GB) 3000 (PC4 2400) Desktop Memory F4-3000 C16D-16GTZR, Intel 660p Series M.2 2280 1TB 3D Nand Internal Solid State Drive, Asus TUF 15/6-inch FHD GTX 1050 Ti i5-8300H 8GB RAM 1TB FireCuda SSHD and more. 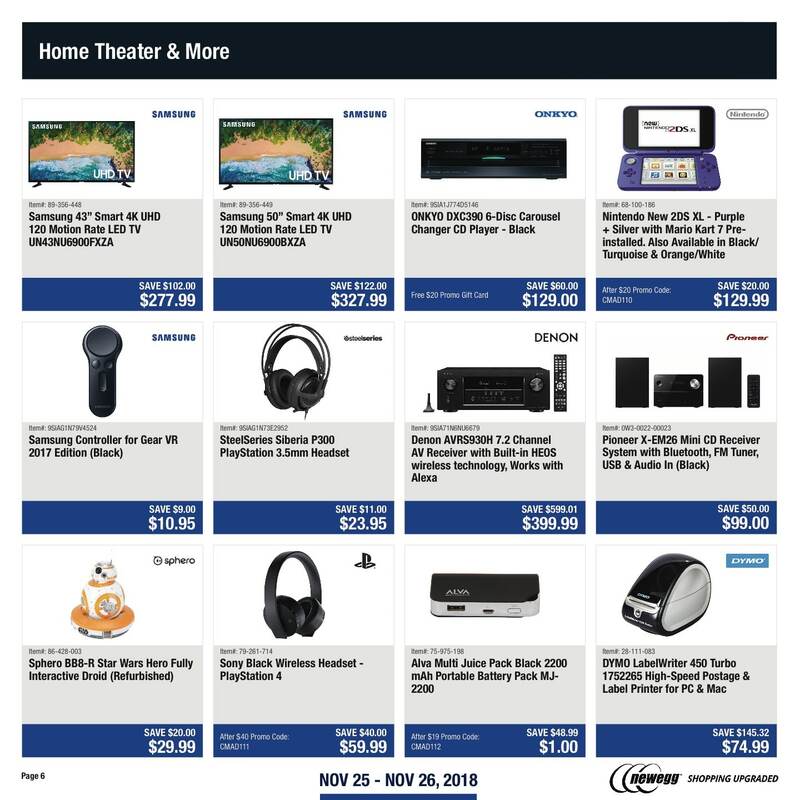 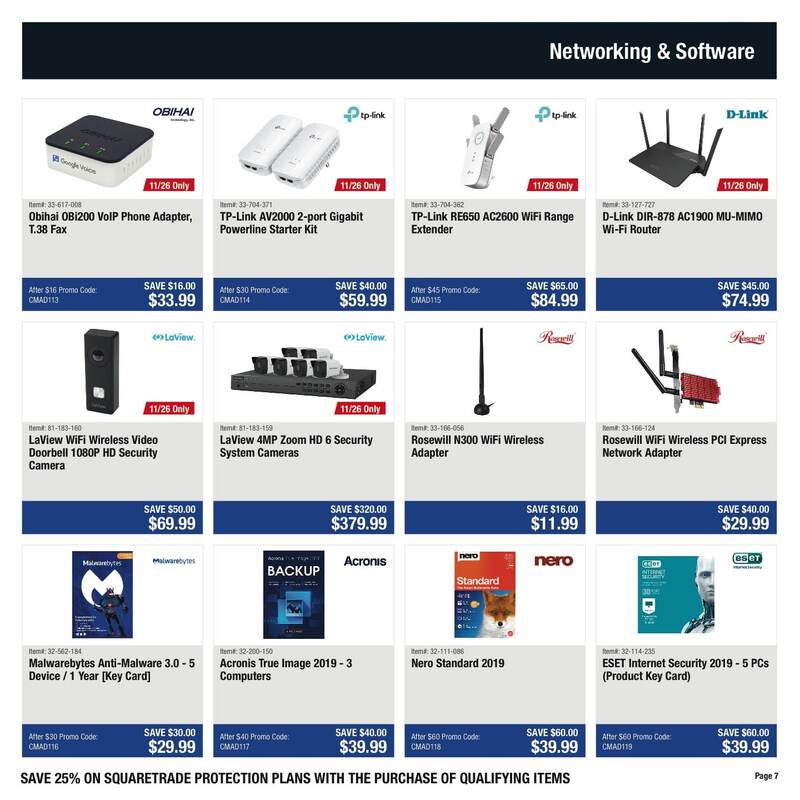 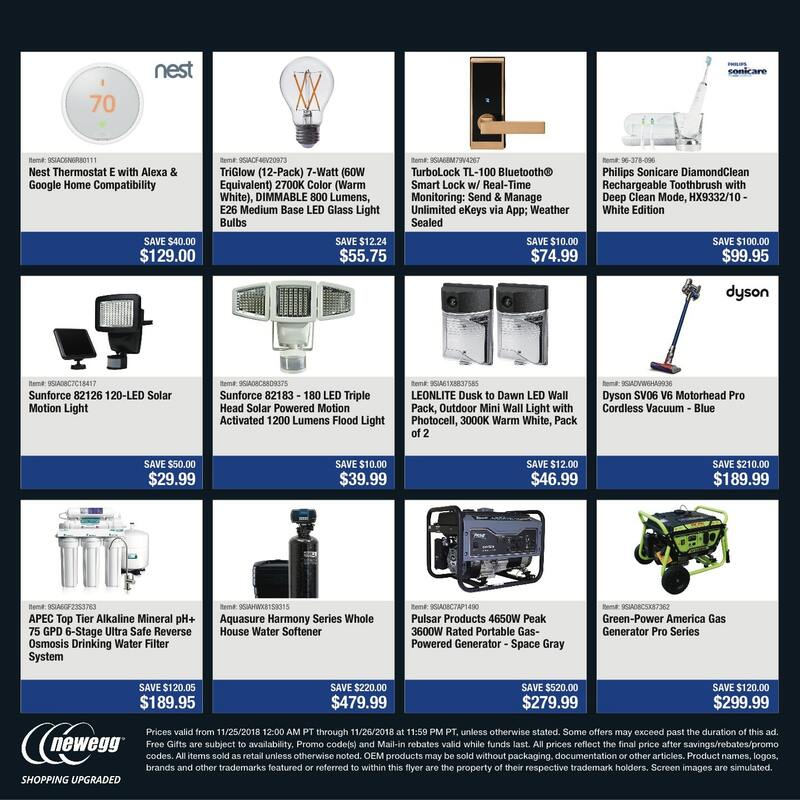 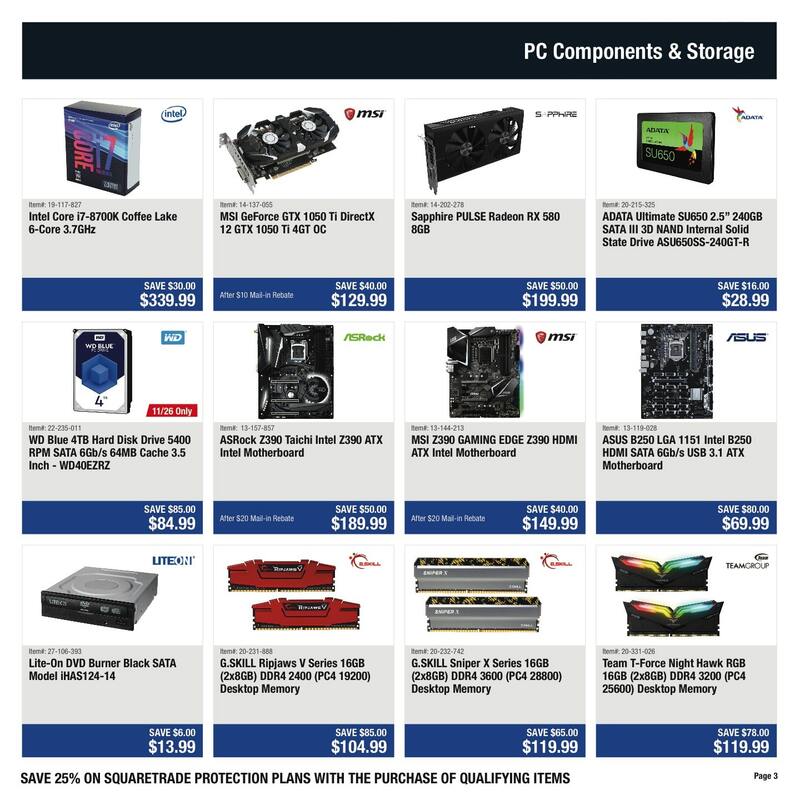 Don’t forget to check this year Newegg Cyber Monday deals before heading out to shop.